"An ounce of mediation is worth a pound of arbitration and a ton of litigation." Hohman ADR is a full service, common sense oriented, alternative dispute resolution firm. The firm's principal, John Hohman, works with attorneys and litigants to create intelligent solutions to complex problems. John Hohman has been helping people with creative problem solving since 1981. As a former probate and family division judge, he has vast experience in listening to parties, identifying interests, and creating solutions which maximize outcomes for those affected. He is known for courtesy, his expediency, and his creative and common sense approach to solving problems. An award winning jurist and former State Court Administrator for the State of Michigan, John Hohman has designed and implemented numerous collaboration-based court improvement programs. 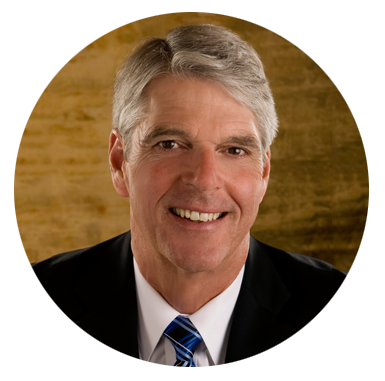 John A. Hohman, Jr. started practicing law in 1981. He was appointed to bench in 1997, and served as a Monroe County Probate and Family Judge for 17 years. In 2013 the Michigan Supreme Court appointed John as the State Court Administrator. He founded Hohman ADR in 2015. John was a leader of the judiciary. He served as President of the Michigan Probate Judges Association in 2008-09, and served as the Chairman of the Judicial Council of the State Bar of Michigan in 2010-11. In 2008, John was given the Michigan Judge of the Year Award by the Michigan Association of Court Appointed Special Advocates. He was named as the Jurist of the Year in 2013 by the Michigan Foster Care Review Board. John is a frequent lecturer at judicial education seminars, and has served as an editorial advisor for numerous publications on probate and family law. See what others are saying on the testimonials page. Your message was sent succssfully! We will be in touch with you soon. © Copyright 2017 Hohman ADR. All Rights Reserved.